Click HERE if this web page does NOT show any pictures. © 1999-2016 by the Authors Charles Peirce and Diane Peirce. All rights to their photographs are reserved by the authors. Please send email if you find any errors. Ladies'-Tresses, Northern Slender (var. gracilis) Chippewa Co.
Ladies'-Tresses, Northern Slender (var. gracilis) Alger Co.
Ladies'-Tresses, Northern Slender (var. lacera) Chippewa Co.
Ladies'-Tresses, Northern Slender (var. lacera) Alger Co.
Lady's Slipper, Pink Alger Co.
Lady's Slipper, Pink (White) Keweenaw Co.
Lady's Slipper, Pink (White) Alger Co.
Coeloglossum viride var. virescens with Cuscuta sp. Corallorhiza maculata var. maculata f. rubra Delta Co.
Cypripedium acaule forma albiflora Alger Co.
Cypripedium acaule forma albiflora Keweenaw Co.
Spiranthes lacera var. gracilis Chippewa Co.
Spiranthes lacera var. gracilis Alger Co.
Spiranthes lacera var. lacera Chippewa Co.
Spiranthes lacera var. lacera Alger Co.
An impressive, comprehensive and superior resource. Another superior resource as the MNFI... "Contributes to the conservation of biodiversity, especially rare and declining plants and animals and the diversity of ecosystems native to Michigan." PhytoImages is served from Southern Illinois University, in Carbondale, Illinois. "Celebrating Wildflowers is dedicated to the enjoyment of the thousands of wildflowers growing on our national forests and grasslands, and to educating the public about the many values of native plants." Graham Owen Gallery Birds, Wildflowers, Insects, Landscapes -- a BEAUTIFUL collection of images. Favorite Wildflowers of the Great Lakes and Northeastern U.S.
Allen Chartier's flowering plants from around the world. by Edward G. Voss, Ph.D. This website is a searchable database for the above three volumes. 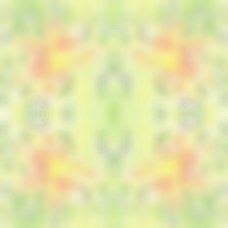 Missouri Flora Web Page A superior resource sorting the flowers by color. This guide is a SUPERIOR resource based on the number of flower parts. To predict 2000's blooming dates, compare 2000's Climate Graph against the dates listed in our web site for the wildflower of interest blooming in the year 2000. To predict 2001's blooming dates, compare 2001's Climate Graph against the dates listed in our web site for the wildflower of interest blooming in the year 2001. To predict 2018's blooming dates, compare 2016's Climate Graph against the dates listed in our web site for the wildflower of interest blooming in the year 2018. 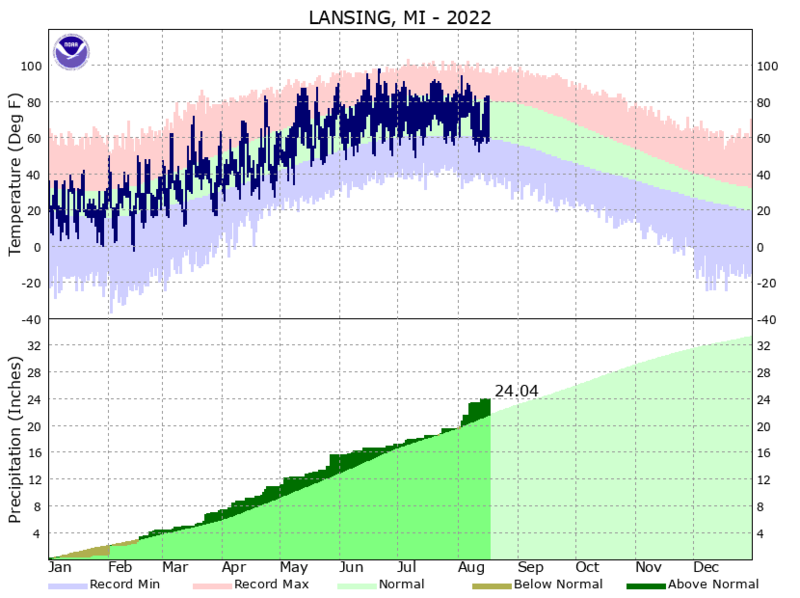 Click on this NOAA LINK for the following ANNUAL climate data LINKS for Lansing, Michigan or other cities in Michigan. Last updated April 7, 2019. Your visit is appreciated.